In order to get Adsense approval , you must have your own website made on any platform like Blogger or Wordpress. You can use any one of them . If you are a newbie , then I will recommend you to use blogger and after getting some basic knowledge , you can shift to Wordpress. Make sure you have your own domain on your website . Don't use subdomain , if you want fast adsense approval. 1. Have your own website on Blogger or Wordpress . 2. Write atleast 20-25 posts on your blog having words limit of 1000-1500 words. 3. After publishing all post , submit it on Google search console , so that your post get visible to the whole web world. 5. Never keep any tab on your website blank while applying for a Google Adsense Approval Programme because blank pages or tabs shows that your website is not complete and is under construction. 6. Use a good template for your website so that user can easily navigate all your post or pages present on your Blog or Website. 7. Don't copy any post or articles from any website . Write your own original post on whatever topic you are good at . 8. Have patience till the time you get approval message from Google Adsense. Some newbies get frustrated at the beginning and feel demotivated. Don't get nervous , you will surely get the approval. 9. In the end , I would just like to say that your honesty matters and will definitely help you to achieve your goals in the longer term. 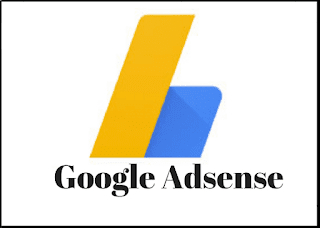 I hope , All these steps will help you to get fast Adsense approval in a short time..